An edited of this review was published by Apt613. Brace yourself for a tough look at the scars left behind by a cruel adolescence in Small Creatures Such as We, a well written yet painful to watch at times offering by Angels in the Rafters productions. An unassuming set with a sofa to stage left and a kitchen/bar to stage right provide a simple and effective method for time travel as the actors shift between their 14 and 16 year old selves on the sofa to their present day incarnations a decade later. As the performance unfolds layers past and present are progressively bared, as Kit (Vishesh Abeyratne) and Joanna (Meagan McDonald) travel back and forth between the two “rooms” gradually uncovering achievements, setbacks, fears and their most intimate trials and betrayals. A gradual and thoughtful build up to complexity of the piece swells the audience’s insight as the performance moves back and forth in time exposing glimpses of childhood and adolescence constructing a solid and compelling base that makes the viciousness that unfolds all the more tragic. At times Fringe works aim for shock value however in Small Creatures Such as We the jolts are miles away from gratuitous; rather there is a sense of universality like exposing a disturbing truth or buried memories. The authenticity is partially due to attentive crafting; thoughtfully constructed complex characters out of what could easily be unsympathetic personalities. It is also largely down to the sincere, never-overwrought, performances put in by McDonald and Abeyratne who bring an attentive realism to their roles. There are improvements that should be considered, including a desperately needed redaction of the final line, but the writing in the whole is so very good, the subject matter admirably handled and the performances so true that it really should deserve a spot on the must-see Fringe list. Tis indeed the silly season with loads of sparkly gear and nights out. Here are a few events in and around the Ward that promise good times that won’t leave you too worn out. Sing-a-long Sundays @planetcoffeeott Every Sunday 4-7PM from now til Xmas you can grab a cup of joe and belt out your favourite festive airs. Come to this local people place and join in the fun or for a giggle critique the warbling. Sing-a-longs rock – thanks for hosting Planet C! 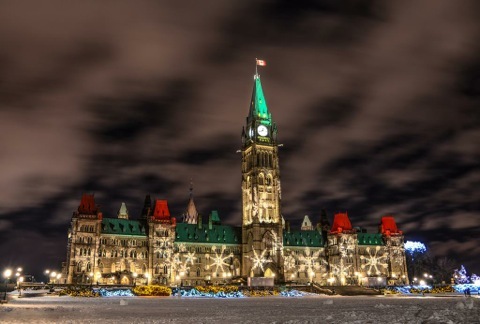 Parliament Hill Festive Lights Thursday Dec 3rd 7PM is the illumination ceremony on the Hill. Fun kicks off with a Peace Tower carillon concert at 6:30pm and there is free Beavertails and hot chocolate too. Natl Gallery Tree Lighting Thursday Dec 4th 7PM. Don’t forget this is the evening the Gallery is free so art is accessible for all – so come early and enjoy. Mayor’s Annual Xmas Celebration Saturday Dec 6th 2-6PM. Don’t forget a non-perishable donation for the Ottawa Food Bank as you take in this fun 14th annual event at City Hall. Enjoy the Rink of Dreams, meeting Mrs & Santa Claus, get crafty and take in live performances. And leave your car at home – all OC Transpo routes to & from City Hall from 1:30-6:30 are free for kids 11 and under accompanied by an adult. #NorthDal Holiday Shopping Night Tuesday Dec 9th Get out and shop #local this season on Dalhousie St. If you like giving than consider that when you shop at a chain store less than 15$ stays in the community. When you shop at a local retailer 45$ stays #local. Once you’re done consider a Gluhwein at Das Lokal! Kosher Jokes for the Halaladays Feeling left out of the festive season? Well no event list is complete without Arts Court so fear not Jewish and Muslim community as it’s the return of the 4th annual joke fest that unites all communities. Laugh on Dec 10th at Arts Court. Inclusive Holiday sees Menorah Lighting in front of Ottawa City Hall for first time ever on December 16th. Well done Ottawa. More of this please. A sold out opening night and rave reviews don’t stop the esteemed Counterpoint Players TACTICS’ Series from offering accessible theatre. Today’s 2PM performance of “Young Lady in White” from local company Evolution Theatre is a Pay-What-You-Can affair at Arts Court. The inventive play spans 76 years, from 1930-2009, from the vantage point of a young girl in an undeveloped photograph who witnesses history from her window in Germany as she awaits the return of the photographer. While war and progress unfold before her the historical context is tied to the personal struggle of her own hopes and dreams waiting to “develop”. TACTICS’ gives local independent artists a chance to showcase their work in an affordable venue bringing quality theatre to the Ottawa stage. The TACTICS series will run from November 2014 to April 2015 at Arts Court Theatre. Please give generously to support the artists and to ensure PWYC theatre continues for those that cannot afford the arts. Waller St is going from strength to strength. First in, the Lunenburg Pub: a top retreat for craft beer, trivia, music, world-cup games, improv and more. There is always something going on in this pub tucked in the beautiful stone buildings at 14 Waller St.
Follow-suite The Loft which opened a few months ago in the upstairs space of 14 Waller. An airy and bright game board lounge with over 700 games to chose from as you sup a pint and enjoy tasty bites including the newly added locally-sourced Gluten-Free range of goodness. Now add to the mix the neighbourhood’s own local micro-brewery set in the basement of this heritage building. 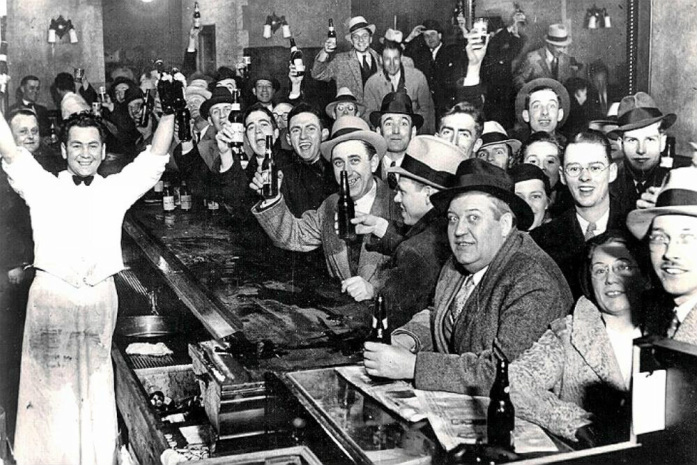 The Waller St-Brewing company is set to open later this summer and we can’t wait to support this latest local venture. This brewing company gives it’s heritage home a significant nod with fine prohibition style branding and website. Read more on this newcomer in the today’s Ottawa Metro. So great to see entrepreneurs embracing and innovating while respecting the neighbourhood’s rich history. Tucked alongside Nicholas St and Daly Ave favourites ArtsCourt, the Ottawa Art Gallery, SAW Gallery and the fabulous Albion Rooms there is no shortage of great nights out in Sandy Hill.